But this is not how the real world operates. So he added that justice will not be done “unless some very determined individual makes it his business to see that justice is done.” This mordant view alone makes Chandler and his works valuable. In his stories, although murders were also committed and solved, the major theme was always the concern for human misery. This is the same theme that links all literature that matter. 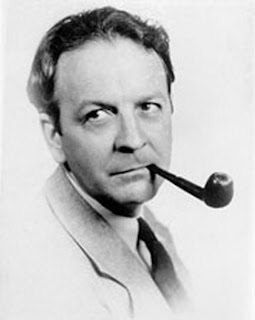 In his lifetime, Chandler had written 23 short stories, out of which 15 are generally known to the reading public. Philip Marlowe, the detective-hero in all his novels, first appeared in The Big Sleep, the first of his seven novels. Philip Marlowe projects a hard-edged philosophy rarely found and appreciated in detective novels of his – and any – period. He is the distillation of Chandler’s ideal detective. While this description easily fits his creation, it can also sum up the creator, himself an unusual man. Born in 1888, Chandler published his first story, Blackmailers Don’t Shoot, when he was 45. Before that, he was an executive in five oil companies, and had it not been for the Great Depression that caused the oil business to collapse in the 1930s, he would be unknown today – buried in forgotten records as a writer of oil reports. “We spend our lives turning over dirty underwear and sniffing rotten teeth. We go up dark stairways to get a gun punk with a skinful of hop and sometimes we don’t get all the way up, and our wives wait dinner that night and all the other nights. We don’t come home anymore. And so on. Philip Marlowe understands and that is the secret of his philosophy: He is not weak because he is strong; but that strength is not tat of brute force, rather it is a strong tolerance – a capacity not to take offense – for what the world has to offer everyday, for what human beings do to each other everyday. No wonder Raymond Chandler lives – even if only in the hearts of a few who find universality in his writings, where Philip Marlowe lives. We seek in the printed pages what we cannot find in the troubled realities of our time. So long as this is true, Philip Marlowe will endure. And so will Raymond Chandler, a poet of violence. This first appeared in June 1990 issue of The Angeles Sun. I edited it for this blog.